“The Technical Service” by Léon D. Pamphile, Ph.D.
"The Technical Service" by Léon D. Pamphile, Ph.D.
Pamphile directs the Functional Literacy Ministry of Haiti. He is the author of Clash of Cultures: America’s Educational Strategies in Occupied Haiti, 1915-1934 (2008). Public schooling emerged as one of the major components of the American efforts to bring political stability in their colonial outposts. This was evident in the Philippines, for instance. To reach the goal of establishing a democratic government there, "America was, by all her political traditions and theories, committed to the task of educating, not a few leaders, but the entire mass of common people." The same observation is also true about Cuba under American control. The Service Technique school system [in Haiti] was organized under the State Department of Agriculture. Assisting Dr. Freeman, Directeur General of the system, was Carl Colvin, a former state supervisor of vocational education in Illinois who was placed in charge of educational administration. This system was comprised of two main departments: the Department of Industrial Education and the Department of Agricultural Education. The Department of Agricultural Education established and supervised the system of rural farm schools. In terms of management, the duties of administration rested upon "the director of rural education and the assistant director, the executive officer and the three clerical workers." Inspection and supervision were delegated, in part, to the local supervisors in the different districts. The aims and objects of the system of vocational education were clearly enunciated in the various Reports of the Service Technique. The industrial schools aimed at developing industrial efficiency among the masses. They were designed "to meet the needs of that majority of people who must look forward to the earning of a living by industrial labor of some sort." The program aimed at the creation of a new class of vocationally efficient workers who would meet the needs of industry. In 1930, there were eight urban schools devoted to teaching industrial subjects. 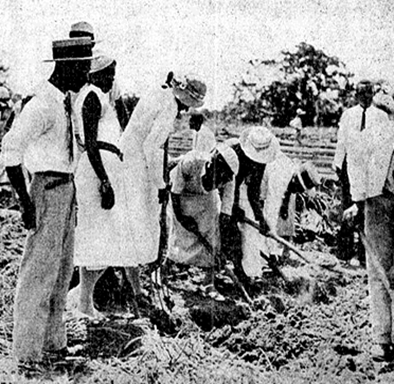 In the rural areas the Service Technique established a system of farm schools for agricultural education through garden work and recitation dealing with various agricultural subjects. These schools were to teach the young people of the country how to improve the care of their crops and animals. In addition, the [American] High Commissioner was convinced that the rural farm schools would teach boys to do work effectively with their hands, to use tools, to make useful products in the shop, and to grow valuable crops in the garden." Besides the training of a better farming class, it was also the policy of the military occupation to keep the country people on the farms. 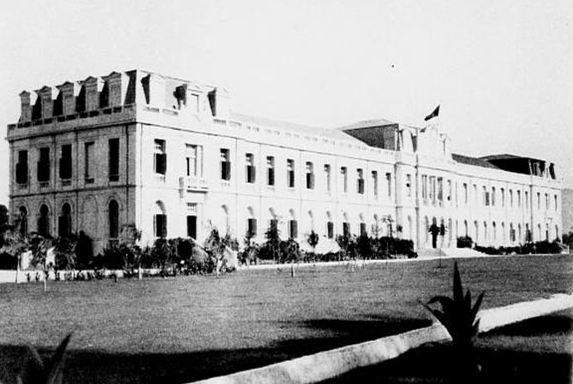 American officials often criticized the gentlemen of the cities who received a classical education as handicaps to the proper development of Haiti. Conversely, this generation was being trained to remain in the rural areas.